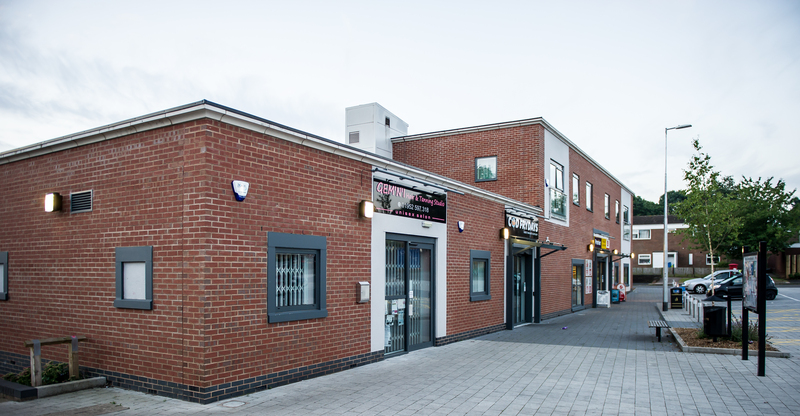 Brookside regeneration, refurbishment and extension of the community centre and removal of old shops and parade. 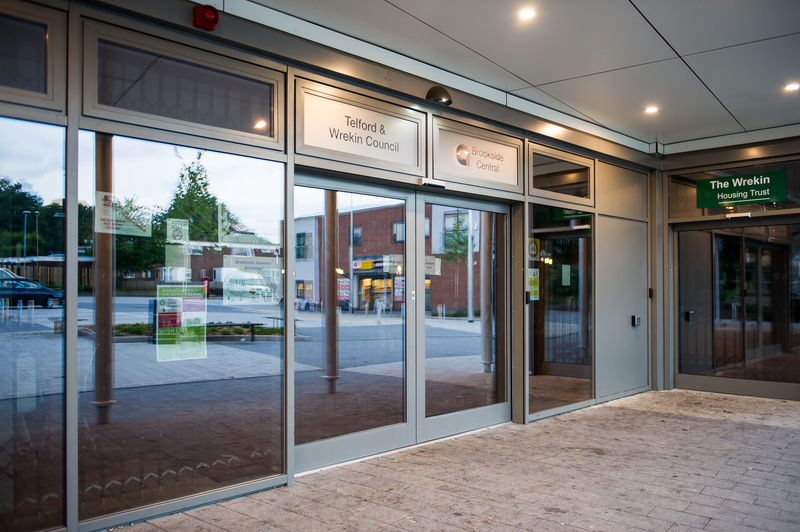 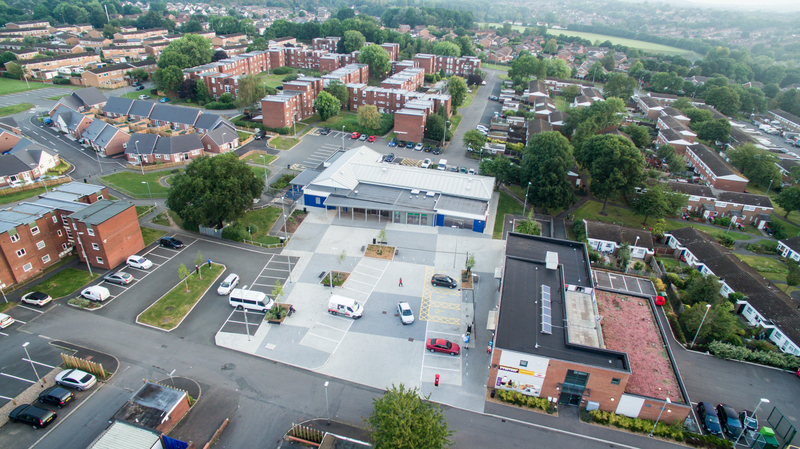 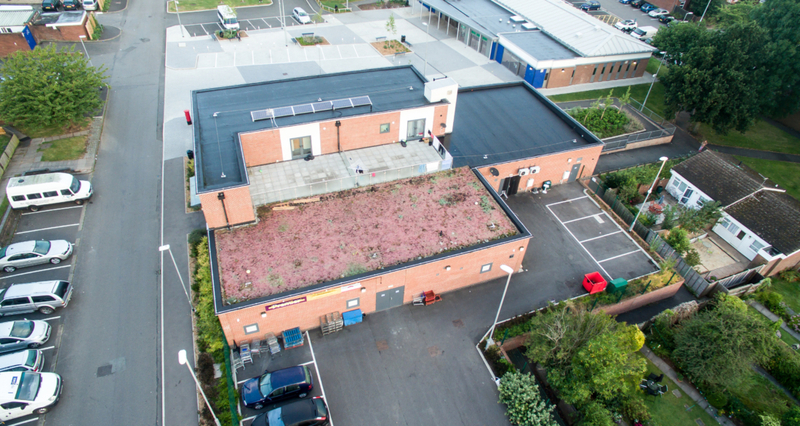 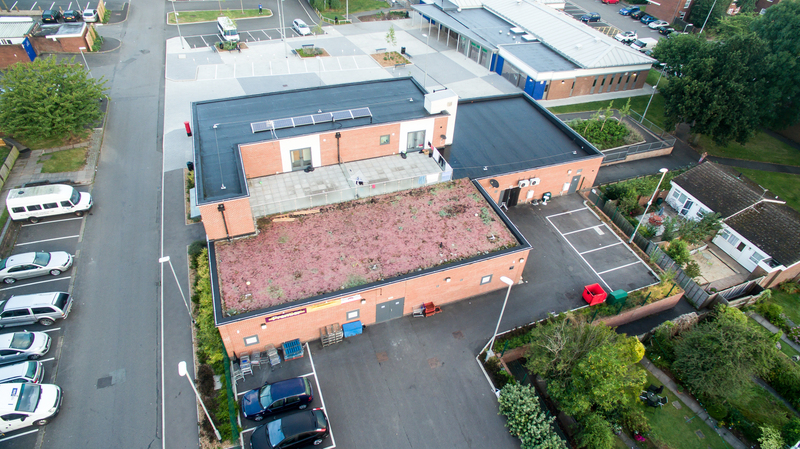 The works consisted of the refurbishment, alterations and extension of the existing Brookside Community Centre site inclusive of the asbestos removal, demolition of redundant shop units and creation of a landscaped open public space. 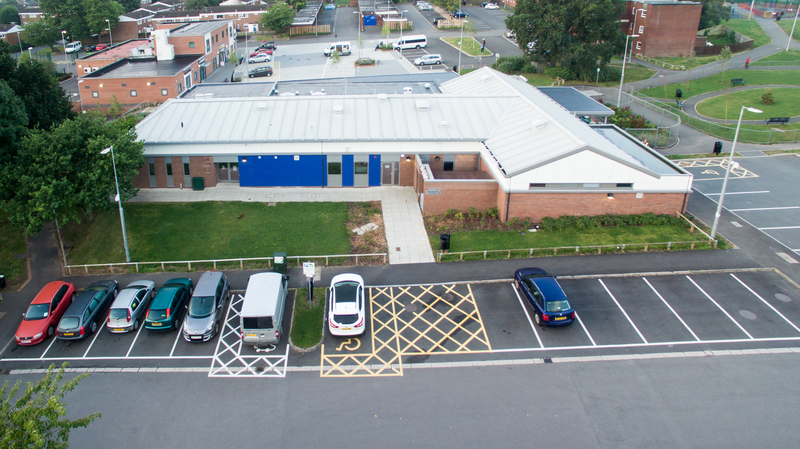 The existing community centre did not get demolished and had four extensions to various sections to create office, training rooms, nursery and a new kitchen / café area whilst the old retail units were knocked down to create the extensive external paved areas for parking and recreation. 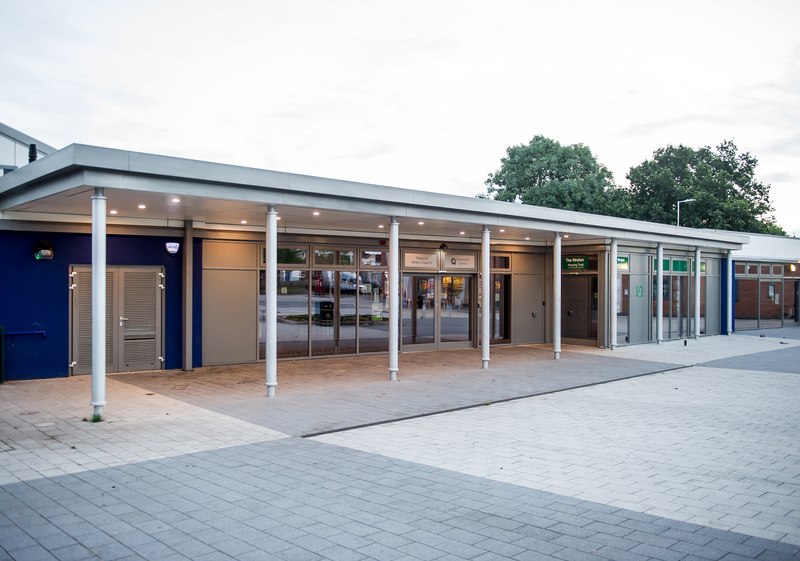 The extensions were formed from steel frame with masonry walls and a mixture of flat and pitched roof coverings. 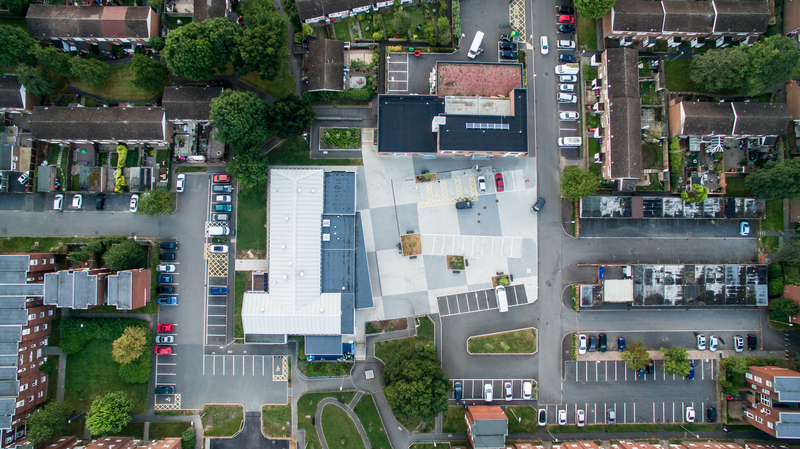 The works were challenging due to the location of the project within a restricted area close to three other construction sites.